Huddersfield’s form has been impressive of late; they remain unbeaten in 6 games. Meanwhile, Forest could only dream of that kind of run at the minute, Stuart Pearce’s men haven’t tasted victory in the league since mid-September. The last meeting of these two sides came at Huddersfield’s John Smith’s Stadium in the second round of the Capital One Cup earlier this season, which ended in a 2-0 Forest victory. The Terriers are in search of their third win at home this campaign, form on home turf will have to improve for them if they wish to stave off relegation. The Reds have also struggled for wins away from the City Ground, gaining just two victories away. Following Mark Robins’ sacking in the first week of the season, many would’ve feared for Huddersfield Town. 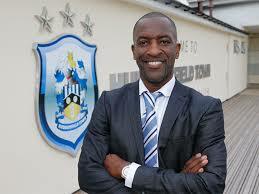 They subsequently appointed former Charlton gaffer, Chris Powell, who has enjoyed a steady, if not spectacular start to life in West Yorkshire. The Terriers sit 17th at this early stage, six points clear of the drop zone but are showing some promising signs as everyone enters the second quarter of this highly competitive Championship season. The loan signing of Grant Holt has certainly made an impact, the former Forest man will be looking to thwart his old club this weekend. Last week saw Huddersfield show commendable character to claw back a two goal deficit away at Ipswich to claim a 2-2 draw. The hero that day was January signing, Nahki Wells, who hasn’t quite managed to recreate his form for Bradford which earned him his club record transfer to the Terriers. Netting just six times last campaign would have disappointed the expectant Huddersfield fanbase, but the Bermudian will have raised hopes of a more prolific season this time round, after his brace last Saturday. The expectation for a club like Huddersfield will always be to avoid getting dragged into that relegation dogfight, but Town fans will be hopeful they can push on into mid-table, despite losing key men, Adam Clayton and Oliver Norwood to Middlesbrough and Reading respectively. Clayton was last season’s Player of the Season for the Terriers and will leave a big hole in the Yorkshire club; they did bring in Jacob Butterfield to soften the blow, however. Powell will be looking to pounce on Nottingham Forest’s recent poor run; if they can string just a few wins in a row together, they could be propelled into the play-off mix. Things can change dramatically in the Championship in just a short few weeks. A sticky patch or serious problems at the City Ground? This is the question all Forest fans have been asking themselves over the last month. Last week’s capitulation in 11 second half minutes will have given Stuart Pearce much to ponder entering this weekend’s game at Huddersfield. A Karl Darlow punch at thin air, David Vaughan short pass and Michael Mancienne misjudgement all contributed to a calamitous finale to a game which should have been easily won. All three mistakes were by players which Forest can usually depend on, Darlow’s performances this season have been exemplary, whilst Mancienne has been made temporary captain with Andy Reid and Chris Cohen out with long term injuries. Amongst the positives for the Reds is Michail Antonio and Britt Assombalonga’s goal scoring exploits. Antonio’s record of seven league goals from the wing is simply outstanding, despite not always being at his peak, the explosive wide man has conjured goals from nothing this season. Last week at Watford was a key example of this. Forest were on the back foot for the majority of the game, but a brace from Antonio gained his team a, frankly, undeserved point. On the flip side, he can have shockers. Last Saturday against Blackburn he was stumbling over his own feet and could hardly kick the ball in a straight line. Of course, if Antonio could produce performances week in week out then he wouldn’t be at Forest, but an improved consistency would be welcomed at the City Ground. The Reds have made efforts this week in putting an end to their worrying form, bringing in Hull winger Thomas Ince on loan till late December. In my opinion, this wasn’t the signing that Forest needed, the flanks are among the Reds’ strongest areas with Antonio and Chris Burke producing good performances this season. Forest’s problems lie in the centre of midfield; Chris Cohen’s absence has ripped much more out of Forest than fans would have expected. They lack a strong presence in the centre of the park. Vaughan and Robert Tesche are good ball players but lack a great physical side to their game, whilst Henri Lansbury has struggled to find any kind of form since returning from injury. Even the strength at centre back has been questioned this week, following Rudy Gestede’s demolition of Mancienne and Kelvin Wilson; the answer there is Jack Hobbs, who is also injured. Can Huddersfield stretch their unbeaten run to seven games to heap more pressure onto Forest? Or will Forest silence the critics and get their season back on track with victory? I think Forest will finally put an end to their poor run, but not without difficulty. 2-1 Forest win. 17 year old Sixth Form Student, lover of all things football. Huge Nottingham Forest fan and Hoping to get a career in sports journalism.